RIM doesnu2019t provide updates as often as I would like, so I went out looking for custom OS builds or unofficial updates. What I cam across was BBHybrids.net. Here you can download official Blackberry software releases and custom Blackberry Hybrids of leaked OS builds. In my case I used a Blackberry Storm 9530. I first downloaded the .419 official release from BBHybrids.net under Downloads>Operating Software>9530 Software. Next I downloaded the Hybrid, based on .419 for the Storm 9530. I got this under Downloads>Hybrids>95x0>9530/9500 .758 Hybrid (419 based). Once that is complete you can install the Hybrid file that you downloaded. Choose your version of the phone and walk through the remainder of the install. It will overwrite certain files in the .419 install with updated files from leaked OS builds or custom fixes. It is your choice on whether or not to install BBSAK and BBMCP. I found them to be unnecessary so I ended up removing them. I did like being able to take snapshots of the Blackberry screen using either program. I do recommend using Shrink-A-OS. You can remove anything that you do not use and it will greatly speed up your Blackberry boot and day to day operating. 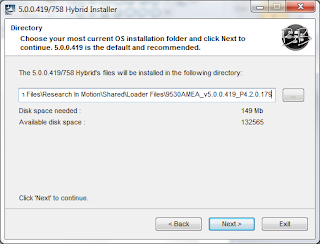 Shrink-A-OS is included in the Hybrid install and the installer will ask if you want to launch Shrink-A-OS. 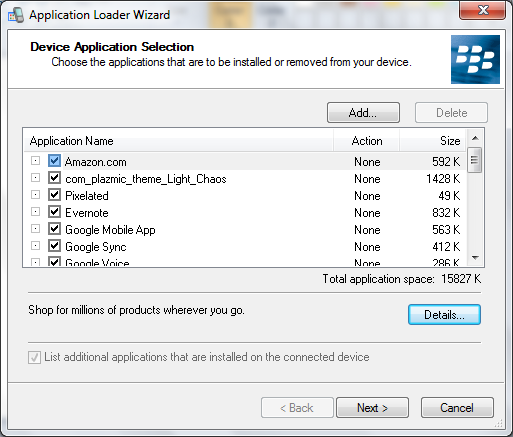 Once Shrink-A-OS is launched, browse to the folder with the Blackberry installation files you installed. Then uncheck any applications from the list that you do not need, or want. Select Shrink My OS. It will tell you how much of a difference was made and then you are ready to load the OS. Done. When I used Shrink-A-OS I removed everything except Event Log Viewer, Default Themes, Default Font and Default Ringtones. My phone boots in half the time and a nice boost in regular usage performance. Now that you are ready to load the OS, select Launch Loader from within Shrink-A-OS. You cannot use the Blackberry Desktop software to load this OS, it will fail. When the loader comes up it will provide a drop down list for you to select your device. Select your Blackberry and choose next. You can now choose whether or not to remove any existing apps from your phone during the update. I left everything alone here and moving. Select next to get a breakdown of the changes that will be made. If everything is okay, select next and the installation will begin. 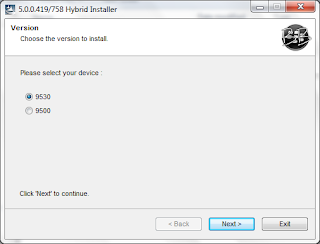 Once the install is complete, BBHybrids.net recommends pulling the battery multiple times over the next couple of days. I pulled it once after the installation reboot, and then whenever I happened to think about it. 24 hours in. So far, so good. Enjoy.